What does a recipe for a Thai green curry have in common with a step-by-step guide for how to fix a broken faucet? And what to both of those have to do with a description of how a bill becomes a law, or how plants metabolize sunlight into food? All of these are examples of process essays—essays that explain how to do something or how something is done. A process essay in its most basic form tells the reader how to do something—anything–outlining each step in the process. It may be helpful to think of all “how to” process essays as recipes. You begin by providing background information and general overview of the dish. Then you list the necessary ingredients. Finally, you describe the process in as much detail as possible. The “how to” process essay can be considered a type of technical writing. Being technical does not mean that process essays do not require creativity. On the contrary, a process analysis essay can be captivating and fun to read. A process analysis essay is informative, instructional, and descriptive. Most process essays are highly descriptive, calling up you—the writer—to use vivid imagery if you cannot supplement your writing with visual aids. By the end of the perfect process essay, the reader will be able to understand how a robot is built or how to make malai kofta, even if they do not actually intend to do either one. In a simple process essay, you can even use the second person familiar as I am doing in this process essay about writing process essays! 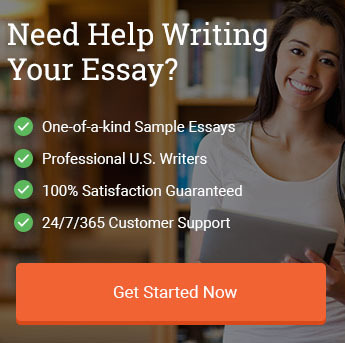 A process analysis essay is more formal than the “how to” process essay in that the student will want to avoid using second person familiar point of view. Also with a process analysis essay, the goal is to describe the method or process by which something is done but not necessarily to instruct the reader. A process analysis essay is your opportunity to explicate complex or abstract processes, not because the reader is going to execute the process but wants to understand how something works. When you write a process analysis of how plants perform photosynthesis, you are not instructing the reader in how they can turn sunlight into food—you are showing the reader that you understand the process well enough to explain it in writing. And that is the job of a process analysis essay. Although not an argumentative essay, a process analysis essay should leave the reader thinking, “Oh so that’s how they do it.” A process analysis essay inspires appreciation for how an item is made or shows the reader a new way of tackling an old problem. In some cases, a process analysis essay persuades the reader to go out there and try the process you just described. In fact, you are reading a process analysis essay right now (how’s that for a meta moment?). The difference between a process essay and a process analysis essay will become clearer to you later when we give you examples of process essays and process analysis essays. First, let’s get through the basics. Each person will have a different writing process, but all writing starts with an idea. The MIT Comparative Media Studies department suggests four main steps to the writing process: prewriting, drafting, revising, and editing. However, I believe there are five main steps to the writing process, starting with brainstorming. When was this process invented? If you are writing a process analysis essay on making paper, you might need to research ancient Chinese and Egyptian paper-making methods before proceeding to contemporary pulp mills. Who was the first person to use this process? Explaining the process Marconi used to build a radio will enhance your essay on the process of building a radio receiver. Is this process controversial, and why? A process analysis essay will have an element of intrigue if you can find a point of controversy in the process. By highlighting the controversy in your process analysis essay, readers will be drawn into understanding why the process is or was controversial. For example, you could write a process essay on how to overthrow the government. Usually overthrowing the government is considered treasonous, which is why a process essay about the subject will be fun to read. However, Arianna Huffington wrote a whole book about the subject—in what can be considered a long process analysis essay. Are there alternative processes? Remember there are at least 11 ways to cook an egg. When writing a process essay, consider what approach your target audience is most likely to understand. Alternatively, you can consider informing an audience about a new or alternative method of doing a familiar process—like cooking an egg. Who is your audience? One of the most important steps in any essay writing process is knowing your audience. Is the reader someone who will actually carry out the actions in your process? If so, your descriptions need to include detailed descriptions and images if possible. However, if the goal of the process analysis essay is to inform a reader about how something is done, then the tone and style of the essay will be different. Is the process easy or hard, and does it require prior knowledge, experience, or preparation? Understanding your audience will help you know whether the process requires prior experience or knowledge. You do not need to think about or answer all of these questions but the brainstorming process will help improve your process analysis essay. After brainstorming you will feel fueled up and armed with knowledge, eager to process your thoughts in writing. After brainstorming, you can start to sketch the skeleton of your essay in an outline. Visually oriented writers can use clustering or mind mapping techniques. Verbally oriented writers may opt for the standard Roman numeral formal outline. Taking the time to prepare an outline will make the actual essay writing easier, and will also improve the structure of your final draft. Preparing a rough draft is when you need to shut off that inner editor. Stop censoring yourself. Following the structure of the outline you created in Step 2, write as it comes to you without worrying about making each sentence perfect. Even if you are really pressed for time, allowing your brain and mind to flow freely at this stage will ensure that your process analysis essay gets done on time because you will not have run out of things to say before you reach your page count. Now you can invoke your inner editor and revise that rough draft by paying attention to grammar problems, problems staying on topic, and anything that comes in the way of making your process analysis essay perfect. Not necessarily part of every process analysis essay, you may need to rewrite some sections of the final draft if you realize you have made a mistake or if you have new information you need to include in the original process analysis. Chances are if you have been asked to write a process essay for an English composition or technical writing assignment, you are going to want to include an introduction, body, and conclusion. Although some process analysis essays will follow a traditional essay format with an introduction, body, and conclusion, not all do. Let’s assume you have to follow a traditional essay format with three essential parts: an introduction, body, and conclusion. If you want the reader to get past the first few words of your essay without falling asleep, you need a strong introduction. The introduction to a process essay will grab the reader’s attention by claiming why the process you are describing is important. In the introduction, you might want to provide the background information such as the history of the process, the controversies surrounding it, or the historical figures that popularized the method you are about to describe. For example, if you are writing a process essay about making a Thai green curry, you would start out by saying that it is important to understand the process of making the curry in order to get the most flavorful and authentic dish possible. If you are writing a longer process essay, it might be useful to include background information such as what part of Thailand green curry comes from, or what kind of rice or other dishes to serve with a green curry. A good example of a brief introduction to a process essay can be seen in this essay on how paper is made. Notice how the author mentions the first machine made paper in the introduction. The body is the meat of the matter in a process analysis essay. In the body of a process analysis essay, the writer will often stick to a chronological list of steps in the process. One of the best things about a process analysis essay versus other types of academic essays is that a process analysis essay already has an internal logic. You are showing the reader how to get from point A to point B by following a set of steps, or informing the reader about the successive steps in a technical process such as how photosynthesis works. Notice how in the article about photosynthesis, the author does not list the steps in the process using numbers, whereas the article about how paper is made does use numbers. There are no rules about whether you need numbers, but starting each body paragraph with an ordinal number like “First this,” and “Second, this,” helps to guide the reader through the process analysis. The conclusion of a process essay will offer the reader any additional information about the process. In the conclusion, the writer might want to suggest ideas for further reading, summarize or reiterate main points, or describe what happens next after the process has been complete. The process whereby a private organization becomes publically traded. How to clean a bathroom. How make a perfect soft-boiled egg. The process by which an airplane takes off. How anyone can develop leadership skills. How a nurse should transfer a patient. How to become a pharmacist. How to manage time and avoid procrastination. How to apply for an Indian visa. The process by which a bill becomes a law. How a tree becomes paper. How to file for bankruptcy. How to repot a houseplant. What is the process of DNA replication? How to manage a large Photoshop library. The process of analyzing a work of literature. The process of treating a disease. How to apply for citizenship in the United States. How to appeal a court’s decision in the state of New Mexico. A. Archaeologists believe that beer might be responsible for civilization itself. B. Beer is 9000 years old, with the first examples being rice beer from China. C. Thesis: The process of brewing beer is a three-stage process, involving the germination of grain, fermentation, and maturation. II. Malting: Beer begins as a sprout. A. Brewing beer starts by taking a grain and malting it to bring out the sugars. B. The malting process is like germination, in that it starts the growth cycle in the seed. C. To make beer, the brewer needs to stop the germination cycle before the seed begins to sprout but after the seed releases fermentable sugars. III. Fermentation: The magic of yeast. A. The difference between wild yeast and pitched yeast. C. Beer begins to acquire its frothy appearance. IV. Maturation: Entering flavor country. A. After the beer ferments, it is potable and has some alcoholic content but might not be palatable or tasty. B. Now is the time to add hops and other adjuncts to improve the flavor of the beer. C. Some beers, especially lagers using bottom-fermenting yeast, need to be matured for long periods of time before reaching peak flavor. A. The process of brewing beer is simple but to do it well requires skill and practice. B. The process of making beer is similar to the process of making bread. With the first evidence of beer being brewed 9000 years ago, archaeologists believe that beer might be responsible for civilization itself. Beer is essentially liquid bread: the transformation of grains like rice, millet, and barley into a consumable and nutritious product. The process of brewing beer is in some ways similar to the process of making bread, which is why beer can be considered liquid bread. The process of brewing beer is a three-stage process, involving the germination of grain, fermentation, and maturation. The first stage of the brewing process is germinating the grain. Germination refers to the initiation of the seed growth cycle. Typically this involves soaking or saturating the grain with water to encourage the seeds to grow. To brew beer, the germination process needs to be stopped before the seed starts to sprout. At this critical stage in the germination process, the seeds of the grain will be filled with fermentable sugars and can be considered a malted grain. The grain most commonly used in beers throughout the world now is barley, because barley has a high amount of fermentable sugars. Whatever grain is used, the brewer will need to steep the malted grain in hot water to create a sweet liquid called wort. The product is now ready for the next stage of the brewing process, during which wort is transformed into beer. The second stage of the brewing process is fermentation, during which the malted grain is exposed to yeast. From 9000 years ago until relatively recently, little was known about the role yeast played in the brewing process. The malted grain seemed to magically transform itself into a fizzy brew known by many names like öl, or ale. Finally in the 19th century, Louis Pasteur peered through a microscope and discovered yeast. Pasteur noticed that these strange microorganisms, the yeast, consume sugars and convert their starches into alcohol. Yeast is responsible for the chemical transformation of sugar into alcohol, the most critical component of the brewing process. In the old days, fermentation occurred with airborne yeast but modern brewers add specific strains of yeast to encourage fermentation. Fermentation causes the liquid bread –the wort—to be transformed into a frothy alcoholic beverage that can now be called beer. The third stage in the brewing process is maturation. Although technically the beer can be consumed during the second stage, it will not necessarily taste good. The third stage of the brewing process ensures the beer will be palatable. During the maturation stage of the brewing process, the brewer will add hops or other ingredients to improve the flavor of the beer. The hops and other ingredients can be added while the beer is still fermenting, and also after the yeast has consumed all the fermentable sugars and fermentation has ended. Some beers, especially lagers using bottom-fermenting yeast, need to be cellared for long periods of time before reaching peak flavor—which can almost be considered a fourth stage in the brewing process. However, not all beer needs to be matured or lagered for such great lengths of time. The level of creativity used at this stage of the brewing process is one reason why each beer tastes different from the next. The three stages of the brewing process are roughly similar to the process of making wine. The main difference between beer and wine is that a beer is made of fermented grains like rice or barley, and a wine is made of fermented fruit like grapes. The process of brewing beer is simple but to do it well requires skill and practice. Hopefully by now you understand what a process essay is and how to write one. Just remember, there are two types of process essays: the how-to style in which you describe the process in an instructional manner similar to technical writing or DIY guides, and the process analysis essay, which is more formal in tone. A process analysis essay encourages you to consider all stages of a process like brewing beer or how a bill becomes a law, and to explain the steps of that process to your audience. If you need further help with any stage of your writing process, be sure to consult a writing tutor who can help you. "How to Write a Perfect Process Essay." Aceyourpaper.com. Student Network Resources Inc, 5 May. 2017. Web. 18 April 2019. Student Network Resources Inc. "How to Write a Perfect Process Essay." Aceyourpaper.com. https://www.aceyourpaper.com/essay-writing/process-essay/ (accessed April 18, 2019).